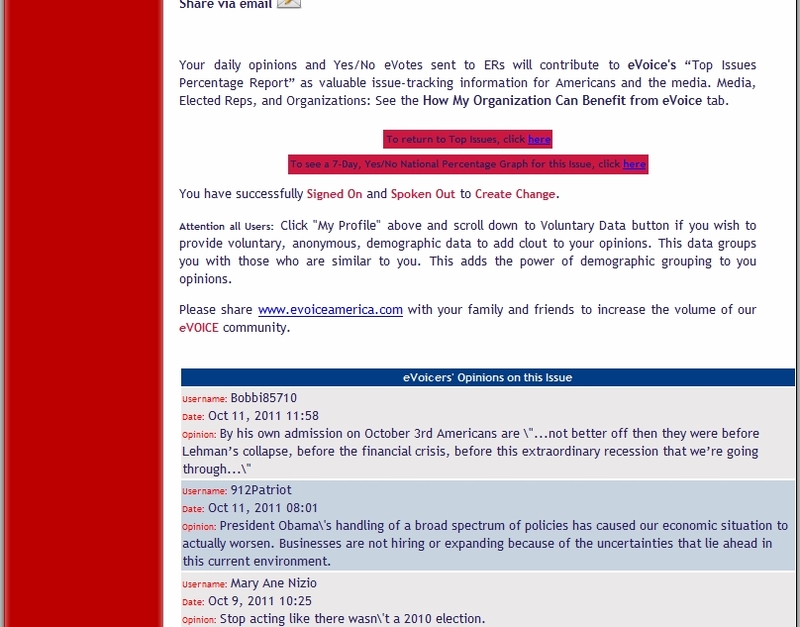 EVOICEamerica is a classier and more robust method of contacting elected officials and representatives, than even, Congress.org. With a patent pending process in the works, Dee and Sandy, have provided a method to easily contact officials directly and simultaneously added an agent of accountability. No longer will officials be able to feign ignorance of a particular hot button issue directly affecting the constituency of a town, county, state, region or entire country. “We the People” also can get a daily pulse on the heartbeat of America. I personally tested the waters yesterday, prior to the interview, and was truly amazed by the speed of the entire system. Instantly, one becomes many and many become one! Thank-you Dee and Sandy! Mark Pryor’s Lame Canned Response, What a Slug! When the Time Comes Will You Do the Right Thing? When the Senate votes on the repeal of Obamacare, “We the People” are counting on you to faithfully assist in every way to stop Obamacare. You didn’t agree it last year and you shouldn’t this year. Arkansans hate it, you know it, so don’t blow it. I took the time to remind Mark Pryor of his previous position on Obamacare and I receive this? On March 23, 2010, President Obama signed the Patient Protection and Affordable Care Act (PPACA) into law. Since being signed into law, PPACA has helped over 43,000 Arkansas seniors who fall in the “donut hole” afford their medicines and provided tax credits to small businesses in Arkansas that offer health coverage to employees. It has also prohibited insurance companies from placing lifetime limits on coverage, ensuring that 1.4 million Arkansans who have private insurance are not abandoned when they need health coverage the most. While the passage of health care reform was a step in the right direction for making health care more affordable and expanding access to health care in rural America, there is still work to be done. I will continue to consider changes and improvements to PPACA as implementation moves forward. Please know that I will continue to work to ensure that health coverage is available and affordable to all Americans. I don’t need no stinking history lesson, I want results! Repeal Obamacare or lose your cushy seat warming position in 2012 like Last Chance Blanche did in 2010! How was this a benefit to “We the People” of the United States of America? Please explain! It looks like another tool to weaken America and our Military! Has Anyone in Arkansas Fallen For Mark Pryor’s Latest Vote of Conscience? Hmm? Who believes in this? The Senate fell short of the votes needed to move forward on this bill that would provide a path to legal status for certain undocumented children brought into the U.S. illegally by their parents. The measure is unlikely to be brought up again in the 111th Congress. By the way, Mr. Pryor (and please get used to that title come 2012) just what holiday are you addressing? It’s called Christmas… would it have killed you to address it properly… I bet you really want to be addressed as Senator! Would those be Christmas cards that you were sending? What a crass act!